Just received my Magpul Grip. Fit is excellent. 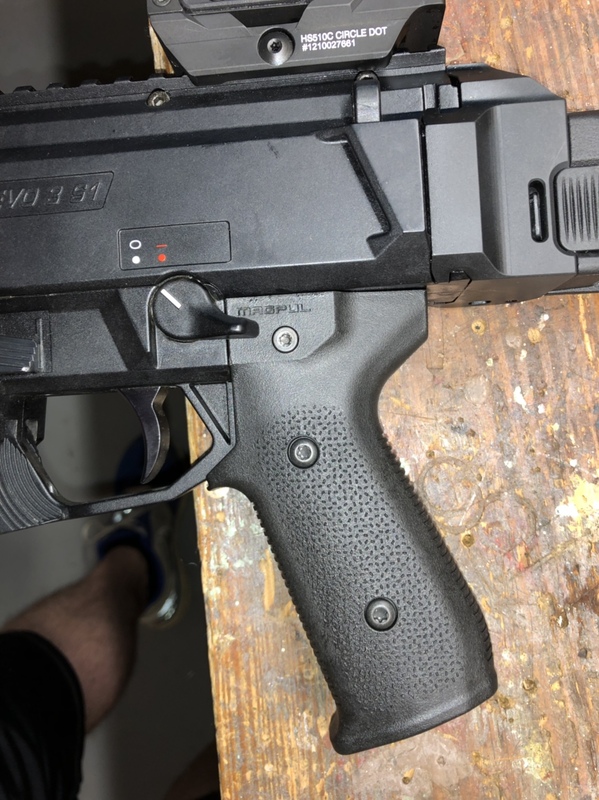 I was able to remove the lower with the grip in the forward most position. It is more rounded than the the Yetiwurks and has more aggressive texture. Overall it is a solid grip that fits my hand better than the Yetiwurks. Looks good. 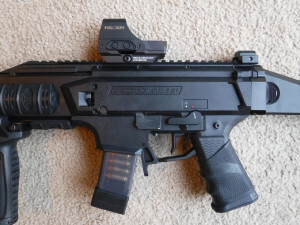 You can generally count on Magpul to come out with a quality product. I haven't seen one in person yet. Is the grip made up of a left and a right side that are screwed together? 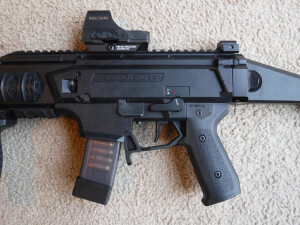 I'm wondering what those two screws are on the left side of the grip. Most other grips are one piece. 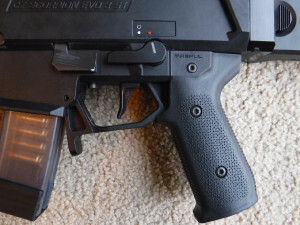 That's probably the only thing I don't like about the Magpul grip. It would look better if it didn't have those two exposed screw heads. I just got mine on also. For anyone who wants to buy my Yeti Wurks Switchback grip (Version 1), send a PM. Looks great! I ordered mine from Optics Planet awhile ago but they haven't started shipping yet. I completely agree. I don't know why they made it in two pieces like that. Also, it doesn't have a storage compartment like the Yeti Wurks Switchback has. It is two halves. To get my grip on I had to loosen the two screws and lightly tap the back of the grip to get it in position. That's where you screwed up. Optics planet often advertises products they don't have, at a serious markup, and then asks a distributor or the manufacturer to drop ship them. In short, they are not a very good company to do business with. On the day Magpul announced on Facebook product shipping I went to Opticsplant and order 2 grips because it said in stock. Once I got the order confirmation the status was delayed shipping. I canceled my order and went to Magpul and ordered direct. It shipped the next day.